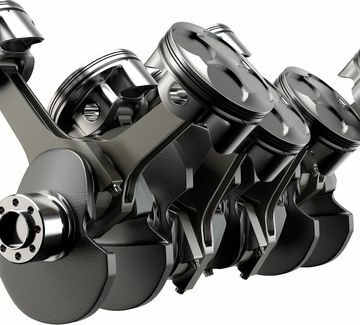 C4E enables low-cost fuel efficiency improvements by coating automotive components such as piston liners, piston rings, pistons, and engine blocks. The company has developed proprietary deposition technology and equipment to allow OEMs to coat engine parts to reduce friction, wear, and corrosion, thereby increasing fuel efficiency. C4E’s proprietary equipment has the ability to deposit a low friction diamond-like carbon (DLC) on the interior surfaces of cylinder liners and engine block cylinders, which can result in up to a 5 % increase in fuel efficiency coupled with a longer service life. In addition to the automotive cylinders, there are other parts where this DLC coating can be applied to reduce friction, such as bearing surfaces and camshafts. Government mandates for increased fuel efficiency and reduced carbon emissions have posed a challenge for automotive manufacturers, and the need to find a low-cost solution has become paramount. Several years of industry research, development, and testing have enabled the deposition of DLC coatings inside cylinders, but most of the methods for depositing DLC are slow, and adhesion of the coating to the surface continues to be a problem. C4E has solved these problems and can offer a superior DLC coating that can be deposited in minutes, compared to hours, and can support high throughput at a low cost. Specifically, C4E’s equipment can coat eight liners every 10 minutes or two engine blocks every 10 minutes. This high-speed deposition technology developed by C4E facilitates mass production and operational cost efficiency.